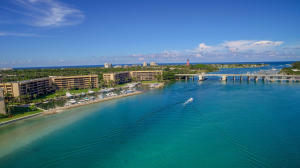 1748 Jupiter Cove Drive #324 Jupiter, Fl 33469 has been sold. WOW!! STUNNING VIEWS FROM THIS COMPLETELY RENOVATED END UNIT CONDO! SUPERIOR FINISHES INCLUDE HURRICANE IMPACT WINDOWS AND SLIDING DOORS, CUSTOM CABINETRY, HIGH GRADE PURE WHITE QUARTZ COUNTERS, WOOD FLOORS, SOLID CORE DOORS AND MORE. THIS GATED COMMUNITY HAS EVERYTHING TO OFFER- TIKI BAR WITH BEACH AREA, CLUBHOUSE, TENNIS COURTS, MARINA, FITNESS CENTER, RESORT STYLE POOL AND ON SITE MANAGMENT. BEST LOCATION FOR SHOPPING AND DINING! PET FRIENDLY. 1748 Jupiter Cove Drive #324 located in Jupiter, FL is a condo with 2 bedrooms, 2 full baths and 0 half baths.The Condo at 1748 Jupiter Cove Drive #324 was built in 1985 in Jupiter Cove and offers a 0 car garage. This Jupiter Cove Condo offers pool, boating, tennis, clubhouse, elevator, lobby, exercise room, extra storage, community room, trash chute, picnic area, sidewalk, private beach pvln, manager on site, street lights. 1748 Jupiter Cove Drive #324 Jupiter, Fl is currently listed for $575,000 under the MLS# RX-10464955. This Condo has been put on the Jupiter MLS system and currently has a status of SLD.